Make yourself a coffee, sit back, relax. 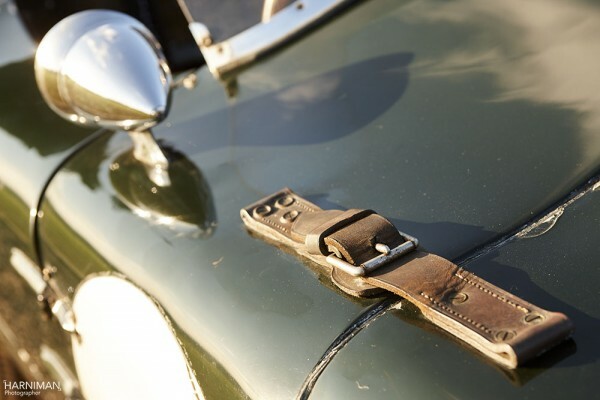 This week I’m deliberately over writing my blog because it’s about something very special – a C-Type Jaguar. Of all the cars I’ve shot over the years I have a particular soft spot for Jaguars. 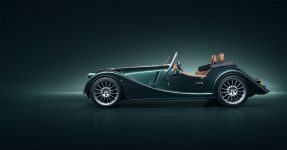 I’ve followed the historic Jag marque for many years and was asked to shoot the RD6 concept a while ago and meet Ian Callum’s design team, which was very inspiring. I then went on to shoot the XF concept and many other production models for Jaguar direct. 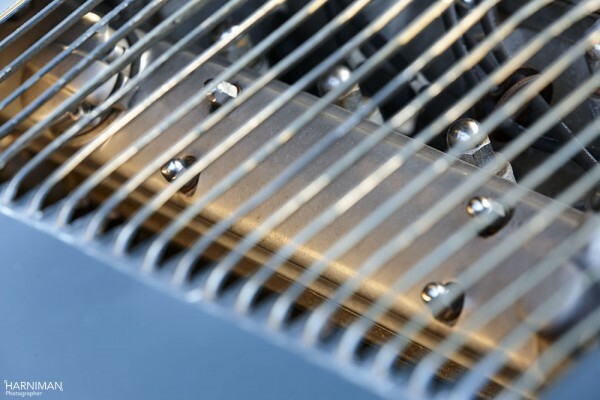 But of all the Jags, I have a penchant for the E-Types, D-types and C-Types. 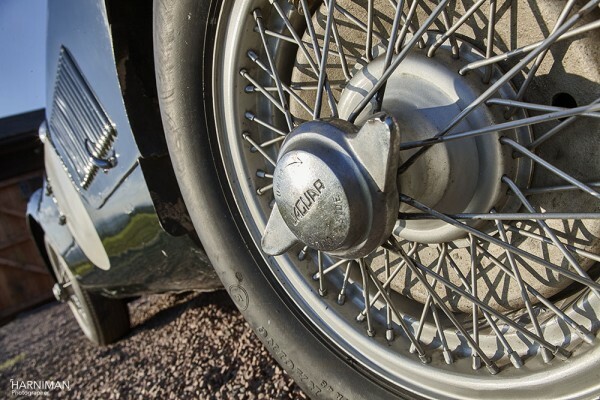 While the E and D-Types are a thing of rare beauty, getting up close to an original C-Type is like coming across a rare Turner or Rembrandt – and with a price tag to match! So when an engineering friend of mine – Andrew Tart – called to say he was working on an original C-Type Jaguar with more history than Joan Collins just 3 miles from my house, I was already banging on his door before he’d put the phone down. Andrew’s workshop is like an Aladdin’s cave of historic racing cars, some complete, others in pieces. 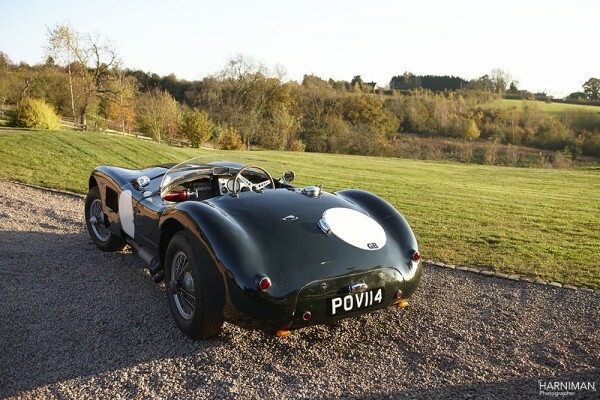 As well as the C-Type, on show was also 2 Lotus 15’s driven by Graham Hill, a Lotus 17s and 18/21 Lotus GP car, as well as incredibly rare Formula Junior Bond racing cars designed and built by Lawrence Bond. I’ve seen a lot of historic marques, but seldom had the pleasure of catching so many classics under one small roof at once. Indeed, I have every intention of writing more blogs about them in the weeks ahead. 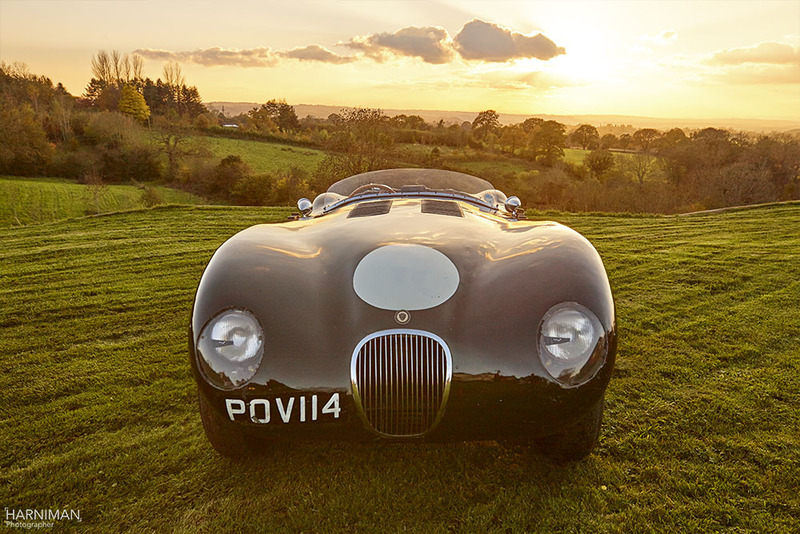 Jaguar built only 53 C-Types and entered 3 of them for the 24-hour Le Mans races in 1951-53 and I was now staring at one of them: chassis no XKC011. Stirling Moss drove it and said it was one of his favourite cars. So ownership of an original C-Type is the stuff of folklore! “After Le Mans in ’53 it was loaned to Belgian racing team Ecurie Francorchamps who painted it yellow and raced it at Rheims and Zandvoort, where it won first place. It later broke a few records at the Shelsey Walsh Hill Climb among others. The present owner’s father bought it in 1963 and painted it back to its original green. “There have been a lot of replicas built, but you can see this is an original and although it looks like a heavy car it’s actually extremely light. 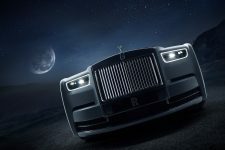 “The doors have no weight to them and the whole body is thin aluminium. With very little work both the front and rear panels can be removed, you can then see that it is a strong, light space frame chassis. 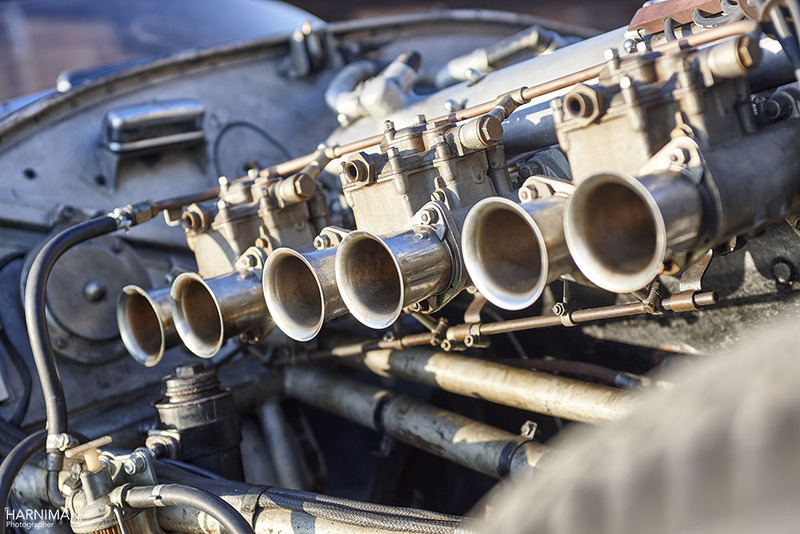 “It’s competed in all aspects of motor sport. Circuit racing, both endurance and spring races. Hill climbing and road rallying, and it does it all extremely well. 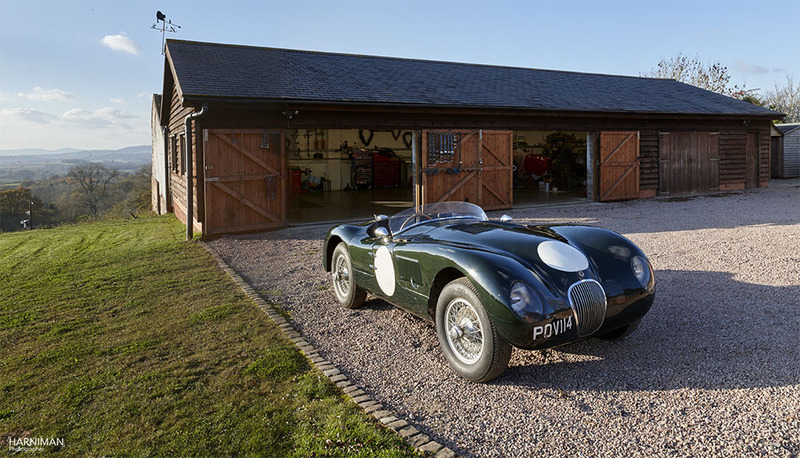 I wanted to give the C-Type a good makeover so I asked Andrew to drive it a few yards from the workshop to photograph it and bring it to life. I wanted it set in the late afternoon wintry sunshine; low light and long shadows. I also set up a time lapse video, which I’ll be editing in the next few weeks. 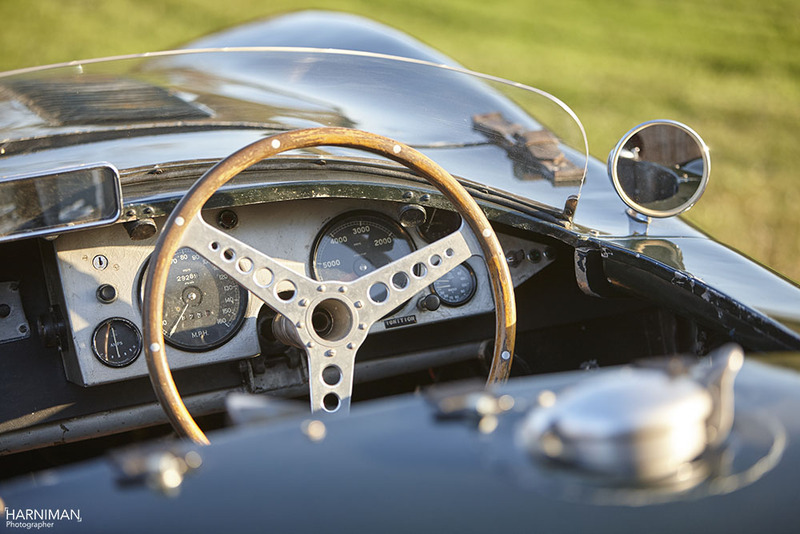 For all you enthusiasts out there, what follows is a potted history of C-Type Jaguar 011. 16th August, Goodwood 9 Hour, Moss/Walker, race number 1, finished 5th overall, louvres were cut in driver’s door after Moss complained about the heat. 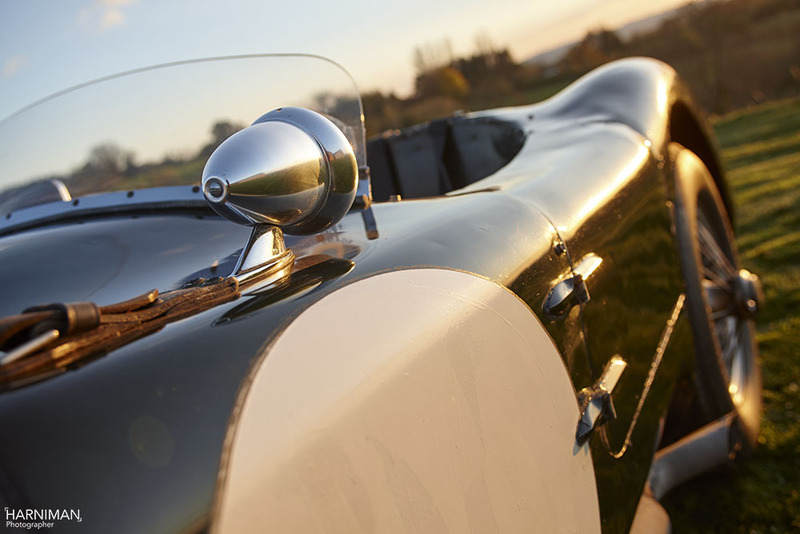 August, Shelsley Walsh hill climb, Walker, first in class of sports cars over 3,000cc and Best performance by a Sports Car 41.14 seconds taking the hill record. September, Prescott hill climb, Walker, race number 47, first in class of sports cars over 3,000cc and Fastest Sports car, 47.53 seconds and taking the hill record. 27th September, Goodwood, Tony Rolt, race number 69, finished 1st overall. a Panhard rod to the rear axle was now fitted. 26 April, , Mille Miglia, Moss/Morris-Goodall, race number 542, retired when the back axle failed, the tube twisting in the differential housing. After repairing the axle), Len Hayden then drove it to Sicily for the Targa Florio. 14 May, Targa Florio, Tommy Wisdom, race number 78, finished 17th overall. November, used by the factory as an experimental test car. The car was tested with oil cooler and in January 1954, was used for evaluating Avon and Pirelli tyres; Moss favoured Avon. 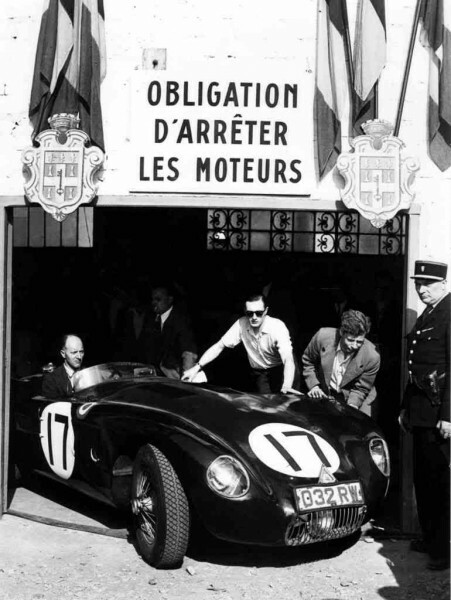 During the period 5th -11th of April 1954 taken to Reims engine E 1005-8 for tyre testing by Peter Whitehead and Norman Dewis. June, The car was flown to Cherburg and then driven to Le Mans as a replacement for XKC 012 (now numbered XKC 047) the Ecurie Francorchamps entry, Frank Rainbow had crashed XKC012 on the way to the circuit. A yellow stripe was painted down the bonnet of XKC011 and the race organisers allowed Ecurie Francorchamps two discretionary laps with the car to prove it was competitive and allowed it to start from the back of the grid. 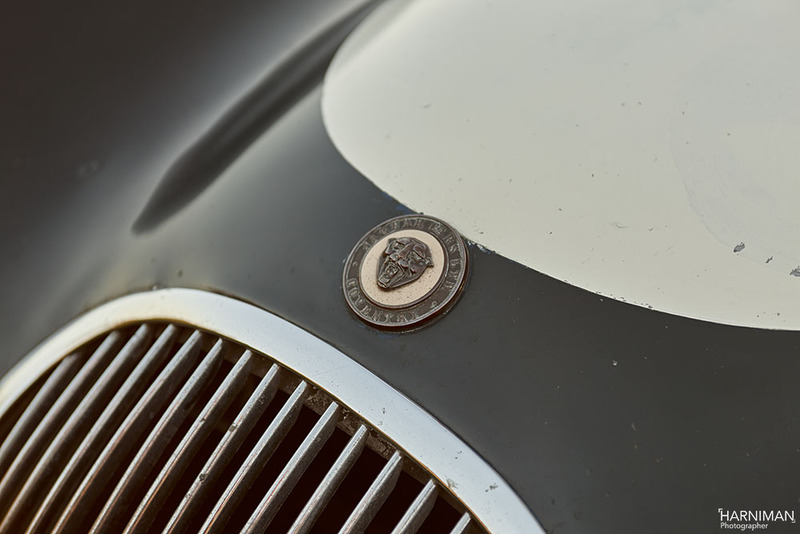 The car was then loaned to Ecurie Francorchamps. 4th July, Reims, Laurent/Swaters, race number 9, finished 3rd overall. 15 August, Zandvoort, Dutch International meeting, Laurent, race number 60, finished 1st in the heat and finished 3rd overall in main race. Car then returned to the factory. Car rebuilt and engine fitted with Weber carburettors. The car was lent to Dunlop for test purposes, repainted Battleship Grey and registered POV 114 on 10th of January, engine changed, new number E 1066-9, taxed by Dunlop 14th January 1955. January 1957, the car was sold by Jaguar to Michael Salmon, an employee in Jaguar’s Service Department. March 13th 1957, ‘works’ job sheet mentions ‘waterproofing both doors’. 11th May 1957, Goodwood, BARC members meeting, Salmon, two races entered, finishing 2nd and 6th overall. 18th May 1957, Silverstone Autosport Championship meeting , Salmon, finishing 2nd overall. 19th May, Brands Hatch, Salmon, not placed. 15th June, Aintree, Salmon finished 4th overall. 25th June painted blue at the factory. 6th July, Mallory Park, Salmon, race number 51, finished 3rd overall. 28th July, Snetterton entered as Ecurie Anglo-Belge, Salmon, race number 26, finished 6th overall. 7th September, Brighton Speed Trial, Salmon, 2nd in class 26.85sec. over the standing quarter mile. 8th September, Firle hill-climb, Salmon,1st in class, best time of day 28.38 sec. 6th October , Brands Hatch, Sporting Record Trophy meeting, Salmon, finished 2nd overall. 29th April, Mallory Park, Salmon finished 4th overall. 18th May, Silverstone Aston Martin Owners’ Club meeting, Salmon, finished 2nd overall. 1st June, Firle hill-climb, Salmon, second in class. 13th July, Silverstone Aston Martin Owners’ Club meeting, Salmon, finished 6th overall. 4th August, Brands Hatch, Kingsdown Trophy, Salmon, race number 82, result not known. 10th August, Snetterton WECC (?) meeting, Salmon, event 4 2nd in class, event 6 handicap race 2nd with fastest lap of 83.56 mph. 7th September, Silverstone SUNBAC meeting, Salmon, not placed. 14th September, Firle hill-climb, Salmon, best time of day and new record, 27.48 sec. 25th April, Brands Hatch Martini Trophy Meeting, Lee, race number 47, finished 5th overall. May, Whit Monday Crystal Palace, Lee, not placed. 6th June, Silverstone Eight Clubs meeting, Lee, finished 1st overall. 12th July, Brands Hatch, Lee, finished 2nd overall. 1st August, Silverstone Bentley and Jaguar Drivers’ Clubs meeting, Lee, not placed. 3rd August, Brands Hatch Kingsdown Trophy, Lee, finished 2nd overall. 8th August, Silverstone, Lee, race number 119, 2nd in class. September, Silverstone, Lee, not placed. 4th October, Brands Hatch, Lee, race number 67, finished 7th overall. Silverstone, Motor Sport handicap, Lee, finished 1st overall. The car was sold to Robin Sturgess on 8 January 1960, and repainted British Racing Green. 25th April, Mallory Park, Sturgess, finished 5th overall. 30th April, Brands Hatch Martini Meeting, Sturgess, finished 3rd and 2nd in second race. 3rd June, Silverstone Martini Meeting, Sturgess, race number 4, finished 2nd. 18th June, Aintree BARC, Sturgess, finished 3rd overall. 30th July, Silverstone Bentley and Jaguar Drivers’ Clubs meeting, Sturgess, finished 2nd and 3rd in second race. 13th August, Silverstone 6 hour Relay, Sturgess, not placed. 17th September, Ragley Park hillclimb, Sturgess, 2nd in Class. The car was advertised for sale in Autosport on 24 March 1961 by WE Sturgess. 3rd April 1961, Mallory Park, Sturgess, not placed. By 2 March 1962, Len Newman had bought the car, but by 22nd of May 1962, it had gone to KNW Moore of Middlesex. Moore advertised the car for sale in Autosport on the 21st December 1962, and it was advertised again in Motor Sport April 1963. It was then bought by Guy Griffiths of Chipping Camden, and later passed on to his daughter Penny Woodley, who competed in the car in the late 1960s. The car is still owned by Penny, and used competitively and socially. 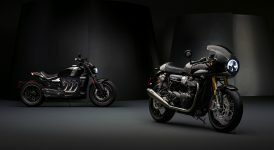 It took part in the Jaguar factory cavalcade to Le Mans in 1993; in 1998, in the Danish Classic Car Rally and Copenhagen Classic Car Cup street race, and in 2000, in the Copenhagen race again. 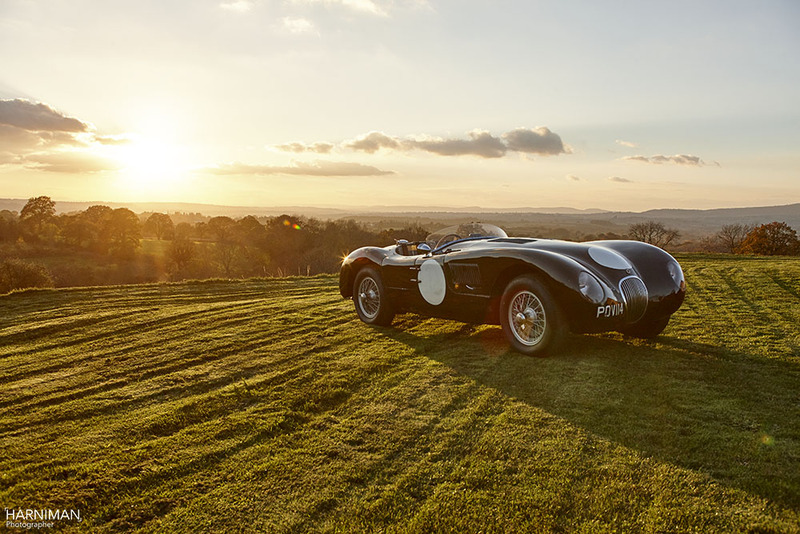 It was also on display at Goodwood in 2009 and Shelsley Walsh 2011. 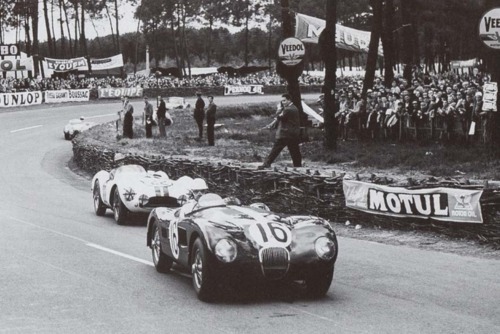 We believe the car was lent to Ecurie Francorchamps as their original XKC 047 was damaged in a road accident on the way to the 1954 Le mans race. It finished in 4th position. The car then went on to race in it’s new guise XKC 047 achieving 3rd at Reims 12hr, 3rd at Zandvoort and was 7th at the Dundrod TT. The original XKC 047 was repaired and eventually found its way to the USA where it was owned by Thomas Groskritz of California. XKC 011 was returned to Jaguar. Dunlop registered the cat POV114 and used it for brake testing. 4/8/1958 Brands Hatch Mike salmon Mike salmon ? 20/9/1958 Oulton Park Mike salmon Mike salmon ? 3/8/1959 Brands Hatch Gordon Lee Gordon Lee ?